TJ belongs to my uncle, who is the pastor of a thriving church in Ozamis, Philippines. He is also on the board of directors for a non-profit that seeks to eradicate poverty for children. He is a loving husband and father; he lives a sacrificial life for his church, always housing at least 4-5 students in financial need, with the doors always open for whomever he can help. My uncle is a good man. My uncle cares about the “least of these.” But my uncle is a terrible pet owner. TJ was a stray puppy that was taken in by my uncle. Sounds nice, right? Sure, except that TJ is left on a 3-foot chain in the same spot all day long. He never gets to run around, or play, and he may get to go on a walk once or twice a week. But he is not very fun to take on walks because he behaves badly since he is untrained: he nips at your heels with his sharp puppy teeth the whole time. TJ is never bathed and his hair is permanently matted. To me, this is animal neglect. But this is normal in much of the third world. To be fair, if it weren’t for my uncle taking him in and feeding him, TJ would be one of the many dogs that roam the streets and countryside scouring for food. 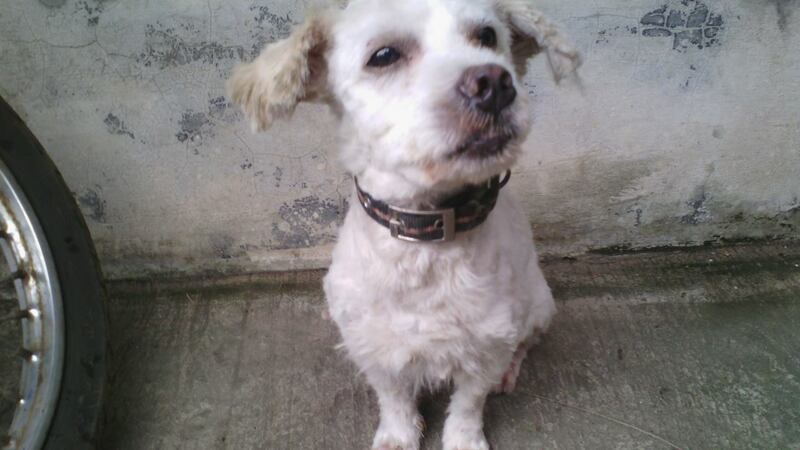 TJ is small, so he might even have been hurt or killed by one of the bigger dogs. But I am American, and I don’t see it that way. As crazy as this sounds, I spent five weeks in the Philippines and one of the most indelible impressions left on my mind was of the poor dogs. It’s unbelievable just how many there are! Everywhere you turn your head to look you see them going through garbage, napping in the shade, chasing bicycles, fighting in an alley. It’s a major problem. Imagine how I felt when I slowly began realizing that many of my family members keep and then neglect these animals. My experience, in comparison, is that in America, some of my friends will sit around and look at pictures and videos of cute dogs and fantasize about which ones we want. It is normal to hear one of my friends wistfully complain that they want a large breed, but will have to wait until they have a spacious backyard to accommodate the animal. It is also not uncommon to spend thousands of dollars on a special breed and to treat pets like royalty, or at least as part of the family. It makes sense to us, right? It’s just part of being a responsible dog owner—a responsible human being. But, as appalled as I was by the complete deficit of knowledge about spaying and neutering, dog training or humane animal treatment, I couldn’t bring myself to judge my uncle. He is still a good man. He really doesn’t know better. And the more time I spent in that culture, the further I felt from home, and the more sense it seemed to make. I also saw work horses with no horseshoes, a boar get slaughtered (“in cold blood,” as my sister said), duck fetuses being boiled alive was a street delicacy (called balut), and every single scrap of meat, organ and bone from an animal was put to use. It made me realize how far removed Americans are from reality. We think that meat is something that comes from the grocery store and is neatly wrapped in a package with no fur, feathers or blood to contaminate it. There is no such luxury in the Philippines. All kinds of animals are a part of their lifestyle, and they see them for what they are: necessities to live. In America, animals are merely enhancements to our cushy lives. I started asking if anyone had ever met a vegetarian—many of them had never heard of being a vegetarian and acted as though I asked them if they had met the Prince of Prussia. Why? Because choices like being a vegetarian are luxuries that you can only make when all other needs are fulfilled. 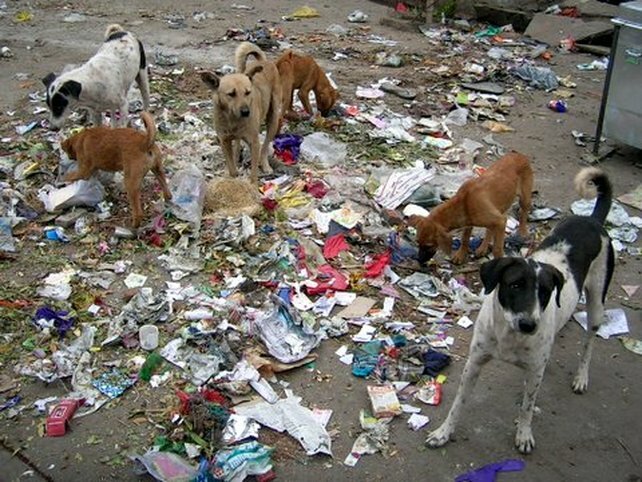 According to www.occupyforanimals.org, approximately 75% of dogs in the world are strays. Americans are sensitive to animal justice. They get shocked at UGGS making their sheepskin boots from sheep, at the Pakistani sheep slaughter, at farmers slaughtering their cows. We have movies such as “Chicken Run,” “Babe” and “Gordy” to enhance these narratives of animal feelings. He also argues that because of the shock factor, we are inclined to make value judgments and charge them against the people and claim that they are sadistic and heartless. The reality is they just don’t see it the same way we do. I have to agree on that point, I couldn’t take my uncle’s mistreatment of TJ and charge against his entire character, which I know to be upstanding. During my brief stay in the Philippines, I took TJ on a walk as often as I could. I accusingly asked TJ’s other caretakers if they knew the first thing about taking care of and training a dog, if they knew anything about animal population control and the humane treatment of all creatures. They tried to see it the way I saw it, but they also had families to feed who would actually starve if they didn’t make ends meet. My world was just too far removed from theirs. In hindsight, instead of being shocked and incredulous at the treatment of the dogs there, I wish I had spent more time teaching them what I know about dogs and how to treat them. It would have made one pup’s life better. After reading Tim Dean’s argument, I’d have to say I fall somewhere in the middle. I do see that there is a huge cultural divide and that when everyone and everything is starving, humans need to come first before animals. But I also see a void that education can fill. People in third world countries don’t view animals in the sterile way we do, but if they want to adopt a western tradition of owning pets, they should be aware of what it takes to be a responsible pet owner. Spaying and neutering could also do wonders in a third world country. What are your thoughts? Is animal welfare simply a #FWP, or does it apply across all cultures, economies, and countries? 600 Million Stray Dogs Need You is a great non-profit that was ranked a Top-rated Nonprofit in 2013. They are working on a dog food that will sterilize female dogs as a permanent birth control solution that can be mass distributed to end the undue abuse and neglect of dogs all over the world.